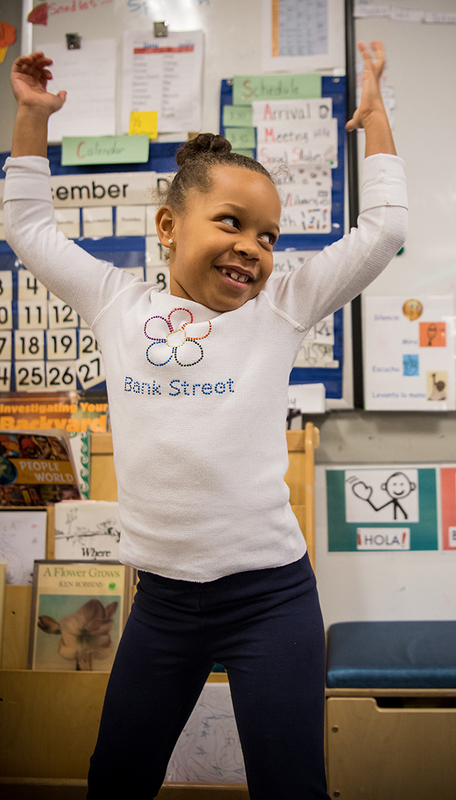 In the formative Middle School years at Bank Street, students begin to understand themselves as learners. The 6/7s core curriculum continues to be social studies–focused, engaging the natural curiosity of children about the world in which they live. The year-long topic for the 6/7s is communities and neighborhoods. We ask: How are we connected? In what ways do we depend on one another? What impact do I have on my community? We work together to build a learning community in our classroom that serves everyone, individually and as a group. Then we expand our focus into the larger community, first exploring the neighborhood right outside our door. We study how neighborhoods function and explore the lives of the people who live and work in them. Through trips, meetings, book research, and interviews, students explore the diversity of the people and neighborhoods of New York City. The culminating project is building our own neighborhood. Working with wood, clay, cardboard, fabric, paint, and other materials, students research, plan, and construct interiors and exteriors. Through dramatic play, they learn about important issues that arise out of the vibrant life and relationships within a neighborhood community. As new readers, 6/7s are encouraged to discover books that are “just right” for them. As they build their comprehension skills, they discover the joy of reading for pleasure. In whole-group read-alouds, individual conferences, and small guided reading groups, 6/7s learn strategies to figure out word meanings and sound out words. Teachers guide students in deepening their understanding of what they read and making connections between events within stories and the wider world. Writing is an important tool for 6/7s, who are developing their ability to express their thoughts on paper. Writing workshop begins with oral stories, and students are encouraged to revise their stories after listening to questions and feedback from peers. When ready, they record their stories on paper using both pictures and words. With peer feedback, they learn to add details and use appropriate sound and book spelling and punctuation. Handwriting instruction and work on revising and editing support the development of students as writers in the 6/7s year. Building on their Lower School Library experiences, 6/7s practice browsing and being responsible members of the library community. They learn the difference between fiction and information books. Librarian-selected read-alouds include increasingly complex words, sentences, and structures. Students also have an opportunity to hone their critical reading skills by voting on picture books for the Irma S. and James H. Black Book Award, which is presented by Bank Street’s Center for Children’s Literature. For this annual award, children in the 8/9s and 9/10s select four finalists after evaluating 16 current picture books, guided by the librarian and their classroom teachers. The 6/7s and the 7/8s read the four finalists and vote, along with students from hundreds of schools around the world, on the winning book. Spanish in the 6/7s is mainly concerned with exposing students to the language in meaningful ways. 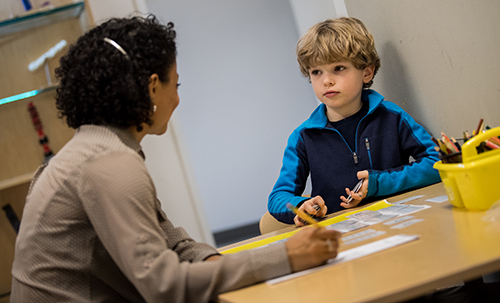 They learn Spanish vocabulary that is practical and useful and have plenty of opportunities for listening and speaking. The 6/7s meet with the Spanish teacher once a week for 45 minutes in their classroom. There is no pressure on the students to use Spanish right away; instead, we allow them to feel comfortable with the language and inspire in them a willingness to communicate in Spanish. Numbers—counting, place values, combinations of numbers, adding and subtracting small quantities. Measurement—how and when to measure, measuring accurately, comparing lengths, describing measurements between whole numbers of units. Data—gathering, sorting, and representing data (including simple bar graphs). Geometry—observing, describing, and comparing two- and three-dimensional geometric shapes. Telling time to the hour and half hour. Science in the 6/7s is integrated into and often emerges from the study of communities and neighborhoods. For example, students research ways communities use and get water and electricity. In the 6/7 year, students begin to understand how scientists view and learn about the world. 6/7s develop their skills of making hypotheses, asking questions, gathering information using their five senses, sorting and analyzing the information they have gathered, and coming to conclusions. The Middle School technology program is developing quickly. 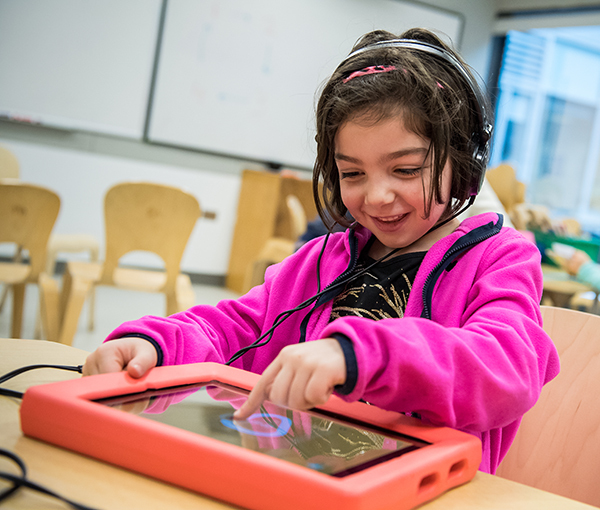 The 6/7s classroom uses a range of technology for instruction, documentation, and collaboration, although students do not have access to devices in the classroom. 6/7s have spent a significant amount of time working with basic robots in the Lower School and they build upon what they have learned in the evolving Middle School technology program. Integrated Art is offered once a week in the 6/7 classroom. In the Middle School, art and shop support children’s growing interest in using materials to represent and narrate their experiences and understanding of the world. 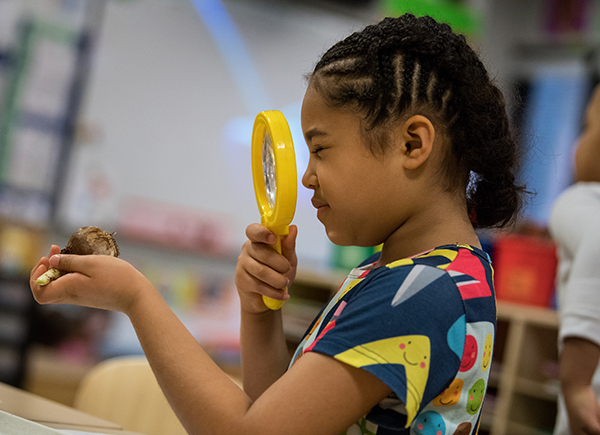 The integration of art into social studies, language arts, math, and science helps children make personal connections to their studies and expands and deepens their learning. 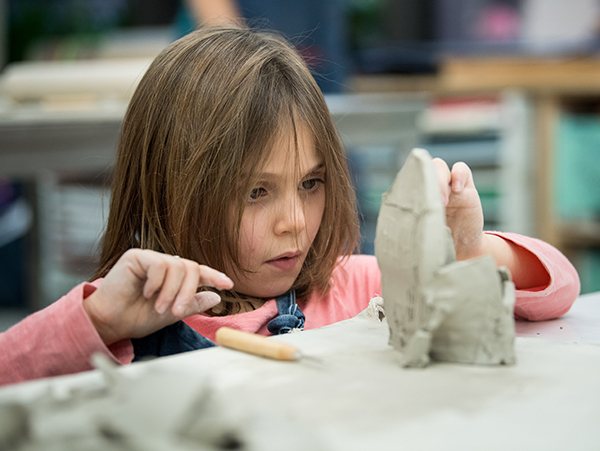 Art in the 6/7s is rooted in an exploration of materials and supports the development of basic imagery and expression in painting, clay, collage, three-dimensional construction and printmaking. Animals are a favorite theme; this allows students to consider elements of representation in a subject they naturally connect to. Neighborhoods, and the things in them, also serve as inspiration for art-making in the 6/7s. In shop, 6/7s begin the year with an introduction to the woodshop and safety rules. The first project is to make a puzzle. The next project is to build furniture for our resident wood figures. 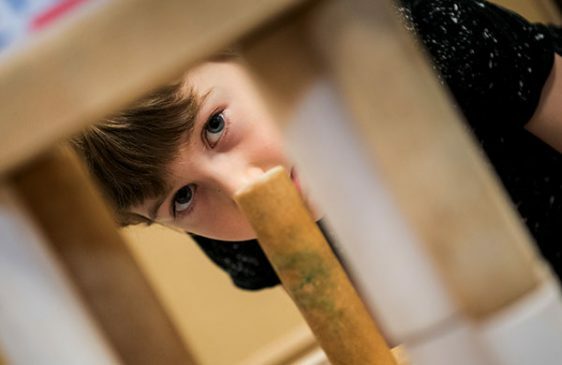 These projects introduce children to a wide range of woodshop skills, including measurement, design, planning, and finishing their work. Drama meets every other week in the 6/7s, and offers an age-appropriate introduction to stagecraft. Students work in groups to dramatize a popular children’s book and participate in all stages of a production: casting, rehearsal, props, and building minimal sets. Children perform their finished productions for the class, thus learning about sharing with an audience and being seen and heard onstage. Singing is the core of the music curriculum. Selections include folk, jazz, seasonal songs, and songs of the civil rights movement. Round singing helps develop good listening habits and melodic awareness. Music Literacy introduces the concepts of beat, rhythm, basic note values, and pitch. Students explore other musical concepts—dynamics, tempo, texture, form—in the music they sing, play, and listen to. Instrument Playing in the 6/7s includes barred instruments such as xylophones, metallophones, and glockenspiel, as well as percussive instruments. Students learn to sing and accompany themselves using repeated patterns, which allow improvisation and collaboration. Movement/Folk Dances allow Middle School students to make connections between patterns in music and patterns in physical movement, while learning the art of collaboration, self-regulation and, most important, listening. Music Appreciation ties in closely with the 6/7s social studies unit; it explores a colorful array of cultures in various neighborhoods of New York City and includes field trips for performances throughout the city. 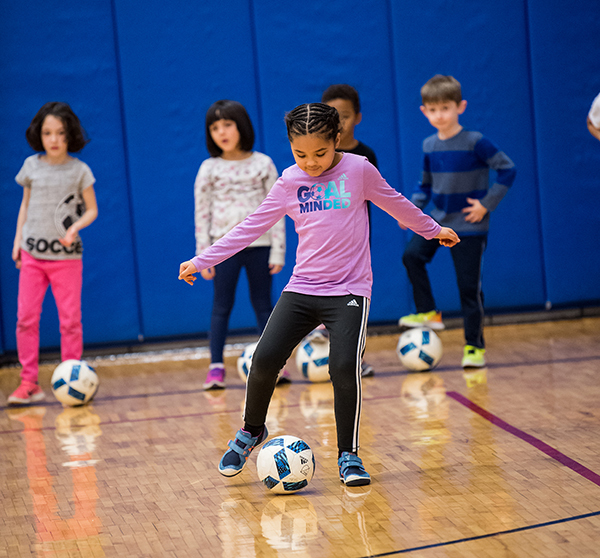 Movement classes in the 6/7s help children develop creativity, imagination, risk-taking, and confidence. Children explore concepts of space, time, and energy. They develop balance, coordination, and spatial awareness. In the 6/7s, children have the ability to craft directed improvised movements into phrases that they can recall and share. By the spring of the 6/7 year, students are learning the Laban Movement Language, using symbols to describe and record movement. Classes meet in the gym and on the rooftop play area. Activities in the 6/7s year focus on developing coordination using balls, bean bags, hula hoops, and scooters. They build cardiovascular endurance and spatial awareness with games of tag. Team games develop problem-solving skills, teamwork, fair play, and sportsmanship. Free time with equipment lets children work at individual levels, on their own and with partners, and to create their own tricks and games. The 6/7s are developmentally ready to think about communities outside their immediate family, classroom, and school. They consider the essential questions in relation to communities beyond Bank Street and into greater New York City. This learning culminates in the actual construction of a community, called Box City, made inside the classroom.